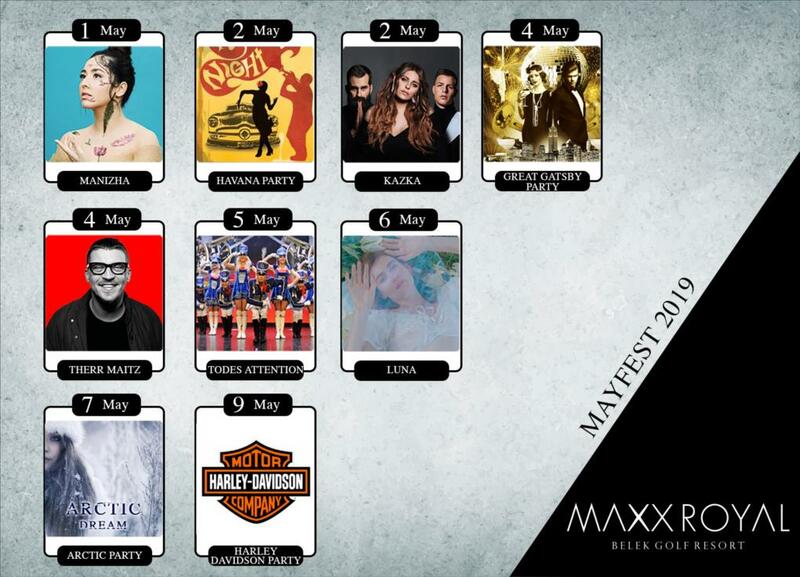 Extraordinary shows, concerts from renowned performers, and exciting DJ sessions…the Maxx Royal Belek Golf Resort invites you to enjoy an unforgettable holiday with a year-long feast of entertainment. One of Maxx Royal Belek’s most delightful venues, the Tangerine Beach Club offers special services for guests on the beach by day - and transforms into an extraordinary party by night. Soothing your senses with the pleasant rhythms of live music, the Royal Horse Lounge offers a unique visual perspective, with a creative concept featuring the mesmerizing dances of white horses. Situated at the heart of the Restaurants Street -bringing together the most ambitious flavours in world cuisine - Azure Court opens the doors of an entertaining world. Be part of the rhythm of music and entertainment at Azure Court: hosting special shows, concerts from world-famous artists, and vivid surprises. ADVENTURE AND EXCITEMENT HAND IN HAND!